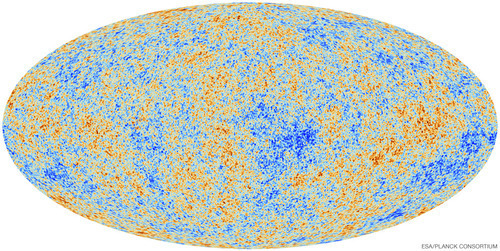 ESA’s Planck mission reported results today showing the Cosmic Microwave Background (CMB, see below) in greater detail than ever before. 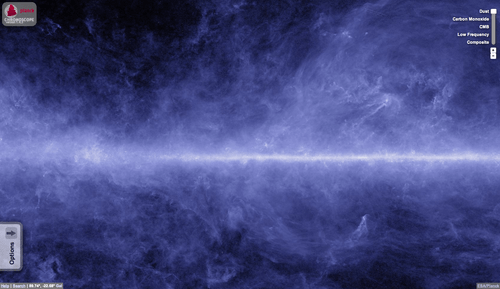 Planck achieves this amazing view of the earliest light in the Universe by combining and cleverly cross-matching data across a combination of 9 different frequencies, ranging from 30-857 GHz. In this way they can remove foreground emissions and effectively strip away the content of the whole Universe, to reveal the faint CMB that lies behind it. It’s amazing work. To accompany the announcement, Planck have released a Chromoscope-based version of their full data set here. This site shows all 9 bands (plus a composite image and the visible sky for reference) and lets you slide between them, exploring the different structures found at different wavelengths. You can rearrange the different bands and turn on useful markers like constellations and known microwave sky features. It’s just great! Also! There is also an option to view the data in terms of the content – or components – of the Universe. You can see that version here. You can switch between these views using the options box on the left hand side. 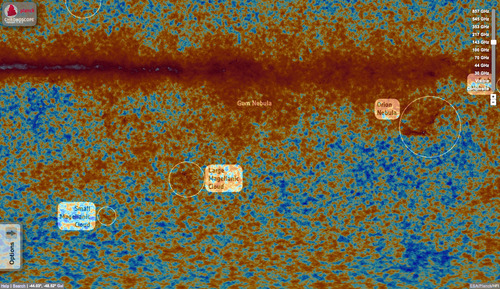 In this version of the site you’re able to see the different structures that contribute to the overall Planck sky image. This is how you can really start to understand what Planck is seeing and how we need to ‘extract’ the foreground emission from the data. 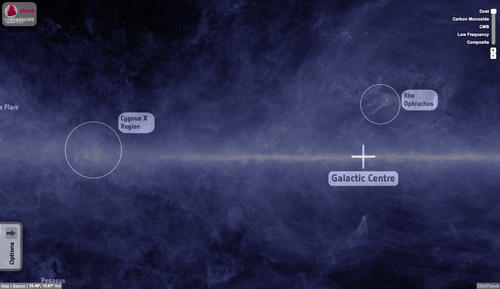 In this view you can look at the dust, the emission purely from Carbon Monoxide (a common molecule at these wavelengths), the CMB itself and the low-frequency emission from elsewhere (such as astronomical radio sources). Cardiff’s Chris North has put this site together (you can find him on Twitter @chrisenorth) and it was Chris, along with Stuart Lowe and I that first put Chromoscope together many moons ago now. I can’t take much credit for Chromoscope really but it’s fantastic to see it put to use here. This is the wonderful blend of open science and public engagement that I love, and that astronomy is getting better at in general. What Planck are doing here is making the data freely available in a form that is digestible to the enthusiastic non-specialist. This sort of ‘outreach’ is enabled by the modern web’s ability to make beautiful websites relatively painless to build and cheap to host. 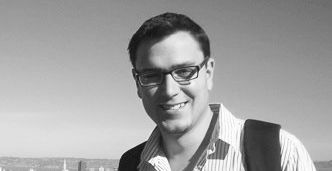 It’s also possible because we have people, like Chris North, who know about both the science and the web. Being comfortable on the Internet and ‘getting’ the web are so important today for anyone that wants to engage people with data and science. So, go explore! You can zoom right in on the data and even do so in 9 frequencies. 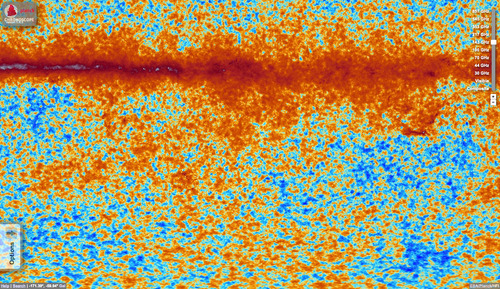 There is a lot to come from Planck – as scientists get to work pumping out papers using these data – so this site will be a handy reference in the future. It’s also awesome: did I mention that?